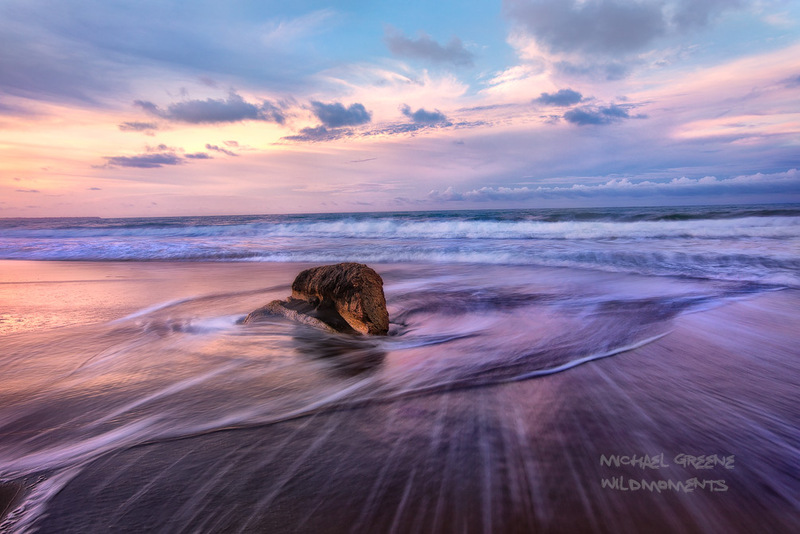 A sandstone curiosity is circled by swirling surf at sunset on a beautiful summer evening at the Playa Negra. This beach is located between Cahuita National Park and the Gandoca Manzanillo National Wildlife Refuge in Southeastern Costa Rica near the resort town of Puerto Viejo. Photo © copyright by Michael Greene.